Osteopetroses are rare genetic osseous dysplasias characterized by bony sclerosis and abnormal bone metabolism with increased bone density. The skull is frequently involved and various cranial neuropathies have been described secondary to bony impingement of the skull foramina. The incidence of cranial neuropathies in osteopetroses has been estimated at 16%. Although the facial nerve is the most common cranial nerve involved, the optic and vestibulocochlear nerves are also affected (122). There has been speculation regarding the mechanism of injury. As the fallopian canal is narrowed, the nerve may become more susceptible to edematous involvement with viral reactivation as the culprit. As the bony impingement worsens, the delicate vascular supply to the nerve may be interrupted. Finally, as the bony growth progresses, there may be direct crush injury to the nerve itself (125). 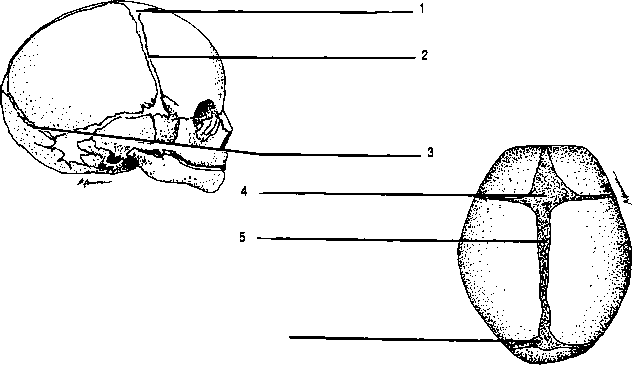 Dort, in a temporal bone study, found significant narrowing along the course of the facial nerve, particularly within the labyrinthine segment, but also in the distal temporal and mastoid segments, supporting this notion. However, he also demonstrated bony obliteration of the stylomastoid artery and proposed ischemia as another etiology for facial nerve injury (123). Treatment of the disorder is difficult, because no known medication has been demonstrated to halt the progression of the disease. Surgical decompression of the facial nerve has been efficacious and favorable outcomes have been reported by various investigators. Current recommendations are to decompress the facial nerve early in the course of the disease using a combined transmastoid-middle fossa approach along the entirety of the nerve's course (123).